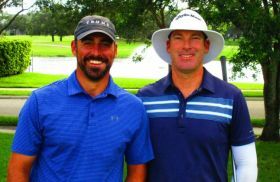 JUPITER, Fla. – Justin Hicks of Wellington, FL won his third straight Minor League Golf Tour start Tuesday when he teamed with Andrew Duvall of Ogdensburg, NY, to capture the tour’s Summer Team Championship. Playing a scramble format on the front nine and four-ball stroke play on the back, Hicks and Duvall eagled the par-4 7th and 11th holes and the par-5 10th, and made birdies on Nos. 2, 4, 5, 14, 15 and 17. They did not make a bogey. Together, they earned $575 apiece from the $4,000 purse and $348 each from an optional bonus pool for a total of $923 per player. It’s Duvall's first win on the MLGT in 13 starts. Hicks’ career earnings have reached $69,668 since 2005. 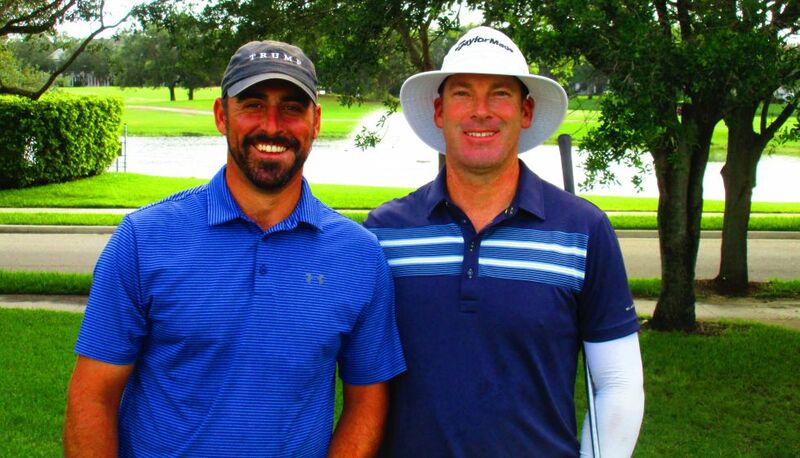 Justin Peters and AJ Walker came up just one shot short of the duo of Hicks and Duvall. They just missed birdie chances on 18 that would have forced a playoff. Peters won the inaugural Big Break on the Golf Channel and Walker was a MLGT regular from 2006-2011. There was $600 in the skins pot with 4 skins out. Click any of the links in the skins column to view the skins results. The Minor League Golf Tour's 4th WEB.com Q-School Contest of 2017 starts in just 6 days. The contest is comprised of back to back 2-day events. 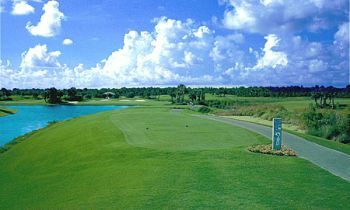 The first half will be held at Hammock Creek Golf Club on 6/19-20 and the second half will be held at Atlantis Country Club on 6/21-22. The Minor League Golf Tour is guaranteeing a full paid entry into 2017 Web.com Q-school for the low 4-day score of those players entered in the contest. If more than 25 players participate in the contest, the extra money will go towards the 2nd place finisher's (in the contest) 2017 Web.com Q-school entry. The first 2-day event entry is $390, the 2nd 2-day entry fee is $340, and the Web.com Q-School contest entry fee is $200. Both of the 2-day events will have prize pools and optional skins games and optional bonus pools. You DO NOT have to be competing in the Q-School contest to play in either or both of the 2-day events. Please call Tournament Director Scott Turner at 561.598.9630 with any questions. Limited to first 17 Teams. 40% of the teams earn a check. 9 holes scramble, 9 holes best ball $340 team entry fee ($170 per player). Closest To Pin & Longest Drive Contests. $40 Per Team Optional Skins Game and $150 Per Team Optional Bonus Pool.